The sheikh called on the Iraqi government to apologize for describing the protesters in Basra as “intruders,” and to immediately compensate the families of protest victims. This dialogue took place during Abadi’s visit to Basra, along with a central government delegation from Baghdad, on 10 September. The delegation met a number of local sheikhs and officials from the local government at the Sheraton Hotel in Basra. The meetings took place after 15 citizens were killed and 190 others wounded during the protests and subsequent clashes with security forces. 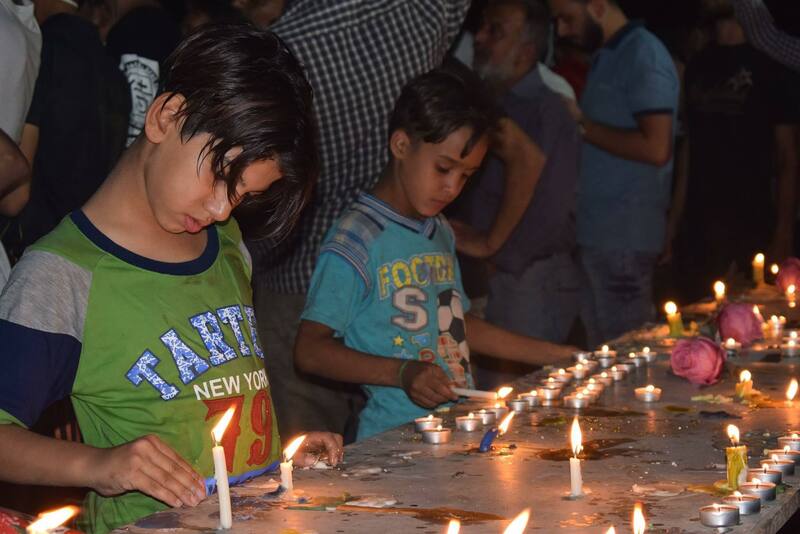 A number of citizens and civilian activists in Basra, and specifically in the area of Ezzedine Salim (formerly Hawier) north of Basra, organized rallies to commemorate the victims of demonstrations in the province. They also organized campaigns to clean the streets after days of protest. The ongoing peaceful protest movement in Basra, which can be called the “water uprising,” gained momentum after increased reports of poisoning from polluted drinking water and increased salinity in the Shatt al-Arab – the key water source for Basra. Salinity levels reached 7,500 TDS according to Iraq’s Ministry of Water Resources. The World Health Organization says water is unfit for human consumption if the salt ratio exceeds 1,200 TDS. 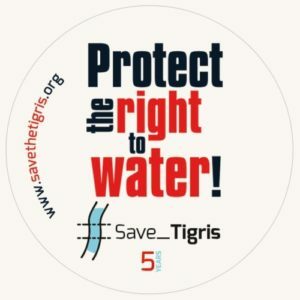 The Office of the High Commission for Human Rights in Iraq estimated that 18,000 people were infected with different diseases because of contaminated drinking water in Basra. The Ministry of Health issued reports of poisoning cases, while religious clerics and tribal sheikhs warned of the dire consequences if water pollution persists, including the possibility of a cholera epidemic. 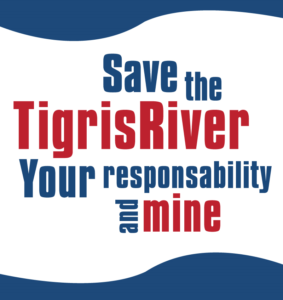 Despite government promises to improve water quality such as by treating pollution and desalinating water, protesters continued to demonstrate as there were no tangible improvements on the ground. Tens of thousands of people marched on Monday 3 September in protests that continued for a week as local anger escalated. A number of protesters burned the local government building as well as the local headquarters of a number of political parties and their affiliated armed militias. The Iranian consulate building was also burned after protesters and security forces clashed, resulting in a large number of victims. The protesters closed the Port of Basra and a number of streets, and also besieged the US consulate building before security forces protected it. On social media, videos spread that showed armed groups wearing police uniforms firing live ammunition at protesters throwing stones (click here to watch one of these videos). Pictures were also posted online of cars belonging to some political parties intentionally targeting and hitting demonstrators. A number of social network sites covered the news from Basra, such as the “Basra” Facebook page. For their part, women in Basra participated strongly in these protests, some of them carrying banners condemning the killing of unarmed protesters and chanting slogans such as, “I promise you this, Basra will not be silent ever again.” A number of Iraqi cities also organized solidarity rallies for Basra. 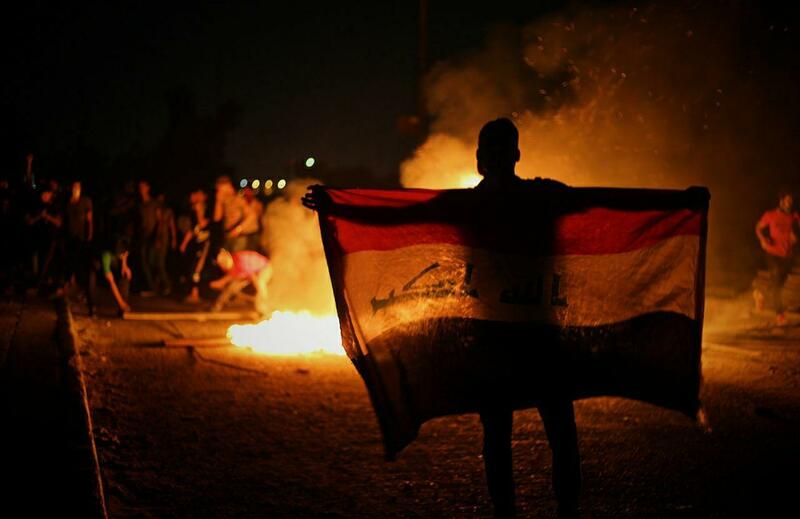 Baghdad saw a protest march in Tahrir Square under a tense atmosphere. The streets leading to the square were closed and filled with members of the riot police. The Shi’a cleric Moqtada al-Sadr called for an extraordinary session of parliament to discuss the crisis in Basra, which he described as “a city without water, electricity and dignity.” On 9 September, the new Iraqi parliament held a publically-televised meeting. In attendance were Prime Minister Haider al-Abadi, most his cabinet ministers, and the governor of Basra. The session witnessed an exchange of accusations between the governor and the Prime Minister and his government around the failure to provide water and services to the people of Basra two months after the protests broke out. “Brothers, Basra is burning while we speak,” the governor of Basra said, addressing Abadi and the parliament. 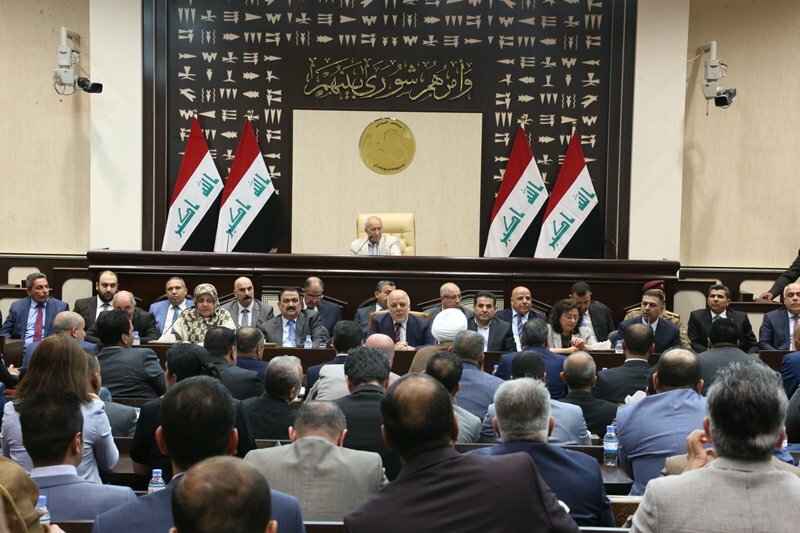 “Whoever listens to you talking now would think Basra is just fine.” Following the tense meeting, a number politicians, including deputies from both the “Fatah” and “Sa’iroun” alliances, called for Abadi to immediately resign. The meeting was a turning point that ultimately eliminated the chances of Abadi forming a new government and staying as prime minister for a second term. Since Abadi’s visit to Basra, a fragile calm has returned to the city as new steps outlined by Iraqi ministries to solve the water problems and improve other essential services take shape. Meanwhile, the Ministry of Transport announced the waiver of its new building of the port company located in the Almakel area to be a new office for the local government of Basra, instead of the burned. The General Federation of Trade Unions in Iraq issued a statement on September 17 condemning the violations against the peaceful demonstrators in Basra and called on the responsible authorities to release those who have been arrested on the background of their participation in the protest movement and allow their families to visit them and to know the conditions of their detention. According to the statement, militias of some parties played a role in the suppression of the demonstrations in Basra, while the statement pointed to the arrest of 30 activists on September 16 after a systematic campaign of defamation against them. The statement also called on the international community and human rights organizations to demand that the Iraqi government cease the arrest of activists and the immediate release of detainees from them. (Click to read the statement). 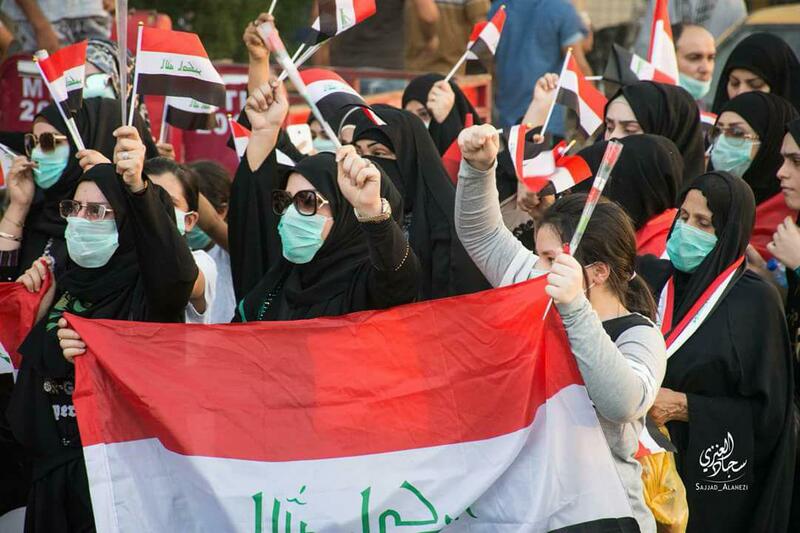 While a number of civil society organizations in Iraq issued a joint statement condemning the arbitrary measures affecting young demonstrators in Basra. The statement also condemned directly the Iraqi Ministry of Interior, accusing it of being responsible for these violations, describing what is happening in unconstitutional behavior and violation of the charters of freedoms and human rights conventions provided for internationally. The number of organizations signed on this statement is 14 Iraqi organizations.